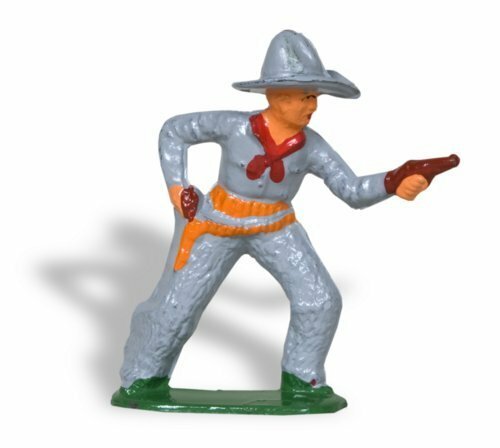 This hand cast hollow lead cowboy figure wields a flexible lasso of a cloth wrapped wire. It was made in 1937 by the Barclay Manufacturing Company which specialized in hollow cast toy figures. Because they were often sold at five and dime stores they are often referred to as dime store figures.